Reading, MA – Reading Cooperative Bank recently announced the election of Paul Bolger as one of its newest Board members. A long-time resident of Reading, Paul brings a career of credit and lending experience to the Board of the Bank. Paul is the President of Massachusetts Capital Resource Company, joining in 2013 after a 30-year career in commercial banking. 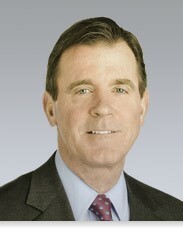 He has held senior management positions at well-known Boston banks, including BayBank, BankBoston, and Sovereign Bank. Paul first began his commercial lending career at New England Merchants National Bank. Paul is a member of the Burbank YMCA Board of Advisors in Reading, MA and had previously served on both the Town of Reading Finance Committee as well as the Planning and Development Commission. Paul also sits on the Board of Economic Advisors for Associated Industries of Massachusetts. He is a former President of the New England Chapter of the Commercial Finance Association and previously served in a number of volunteer positions with the Ron Burton Training Village, Dana Farber Marathon Challenge, and the United Way. Paul earned his Bachelor of Science Degree in Business Administration from Salem State College.